WTF is wrong with Sweden? We have a humdinger lined up for you on this Thursday, December 1, 2011. What is the problem with Sweden? Is it meatballs? ABBA? Volvos? Bergman films? Bjorn Borg? Well, how about the golf club swinging Elin Nordegren? No? Ericsson phones, maybe? Nope. Actually, aside from ABBA and Nordegren, not too much bad can be said about the lengthy list of Swedish icons. 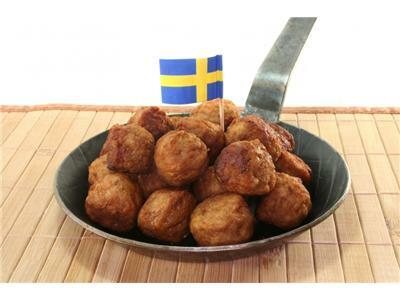 That leaves the matter of gender politics, which we are starting to understand are so corrupted by feminism that the country may soon rename, reshape or do completely away with Swedish meatballs as they might be oppressive artifacts of the patriarchy. Come Thursday, your cohost John the Other and I will be talking about the land of frozen vaginas a little bit. Actually, we will be talking about it a lot, along with a few tidbits from the States and other parts of Europe that highlight why we may not be near as far from Sweden’s model of feminist governance as we would like to think. Join us for the return of A Voice for Men Radio now that we have taken a much needed break. We will be back with enough heat to grow palm trees in Stockholm.